For this newsletter Lodge 359 staff would like to provide the membership with an overview of important events spanning over the past few years. 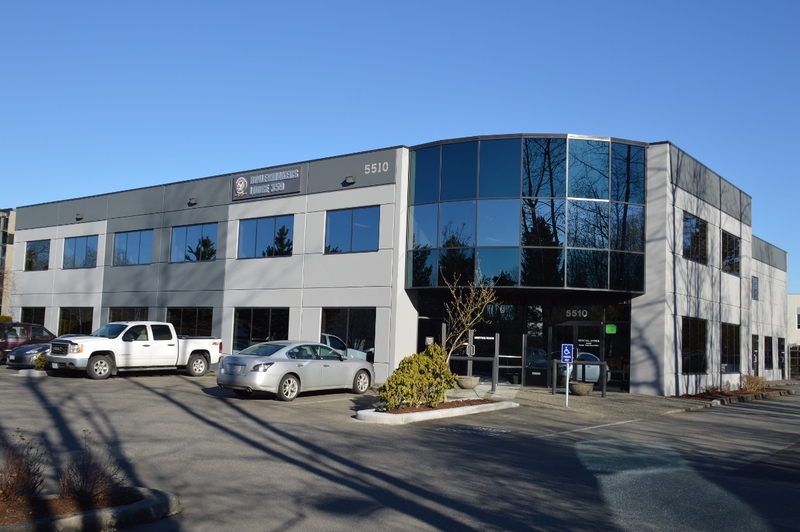 The largest single most important event to happen for Lodge 359 in decades was the sale of Dawson Street and subsequent purchase of our property in Langley. The end goal was to provide members with a new home which included a training facility and in turn was also a step towards less dependence on third party providers. At the October 2012 general membership meeting a motion was passed requesting the sale of Dawson Street in conjunction with acquiring a replacement property in the Fraser Valley. The motion was followed up by the issuance of an all-mail ballot to the entire membership for their acceptance or rejection. 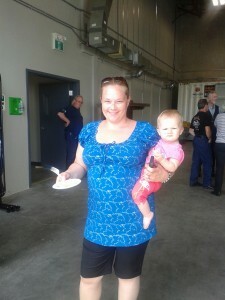 Forward to November 2012 the ballot was returned and tabulated, 83% voted in favour of the proposal. International headquarters then gave final approval to proceed. 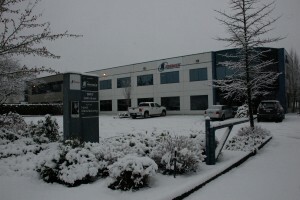 In December of 2012 Dawson Street was listed for sale. A search then began for a property suitable to fit the memberships needs, one with enough space for offices, storage, meeting rooms, a classroom, and of course the training centre shop. 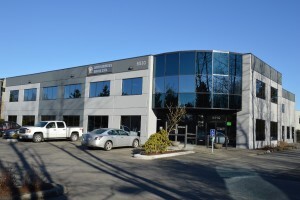 By late January of 2012 the Union had accepted an offer on Dawson Street and a short time later placed an offer on 5510 268th Street, Langley. 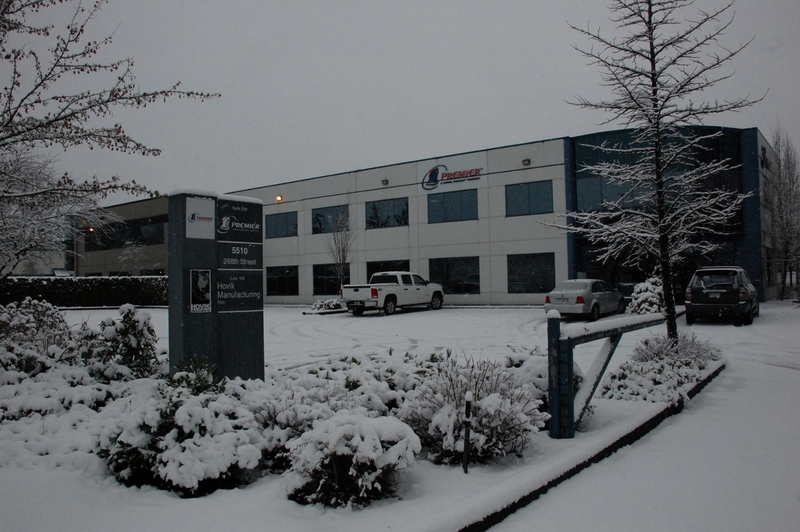 The sale of Burnaby closed at the end of March 2013, the purchase of Langley closed April 30th. 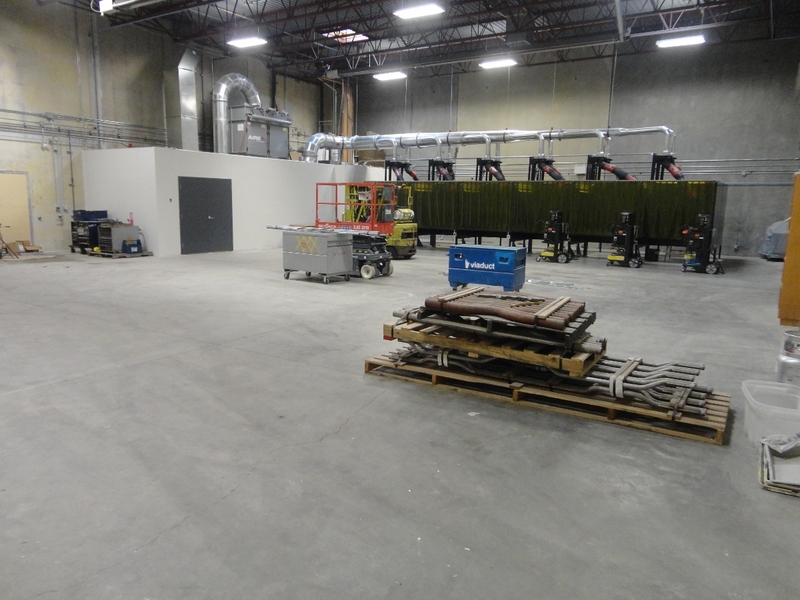 For the next approximate five and a half months renovations took place on the new building and by mid-September we were ready to make the move in. 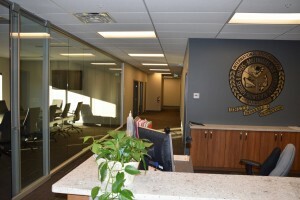 The unpacking and setup of all individual offices took about a month before everyone was comfortably settled in, all this was done while continuing to run the daily affairs of the Union. Once the dust had settled from the move, final planning began for the next phase of the project, the construction of the training centre. Contracts were awarded and suppliers chosen by mid-January of 2014, the physical work began on February 3rd. 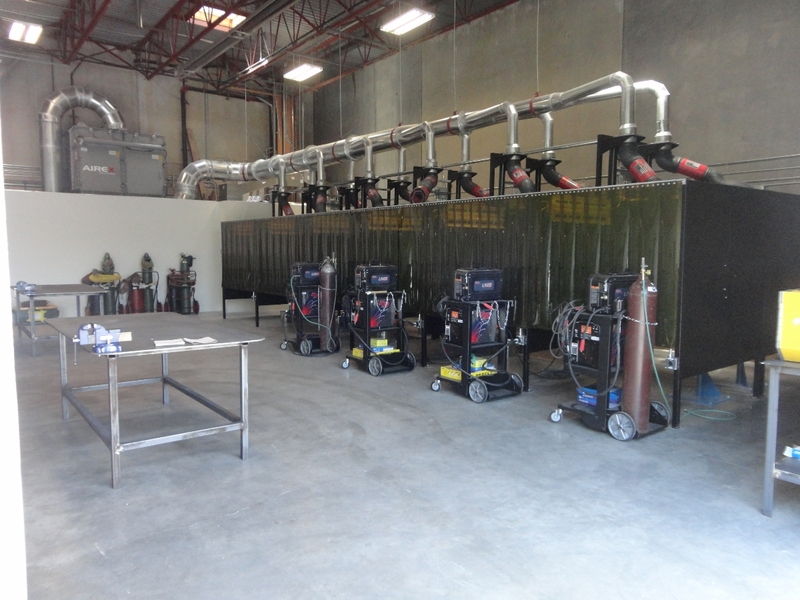 Tool and monetary donations for the training centre were solicited from contractors prior to opening, we would like to thank IST Boiler, CESSCO Fabrication and Engineering Ltd, West Kootenay Mechanical and CIMS Ltd Partnership for their generosity. 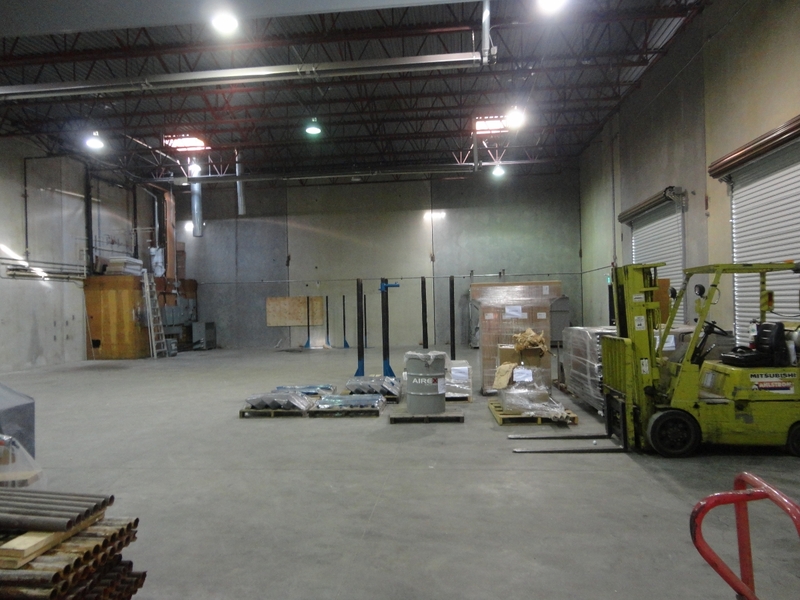 The conversion of the warehouse to training centre was completed with final inspections conducted on May 14, 2014, but it wasn’t quite ready to open just yet. 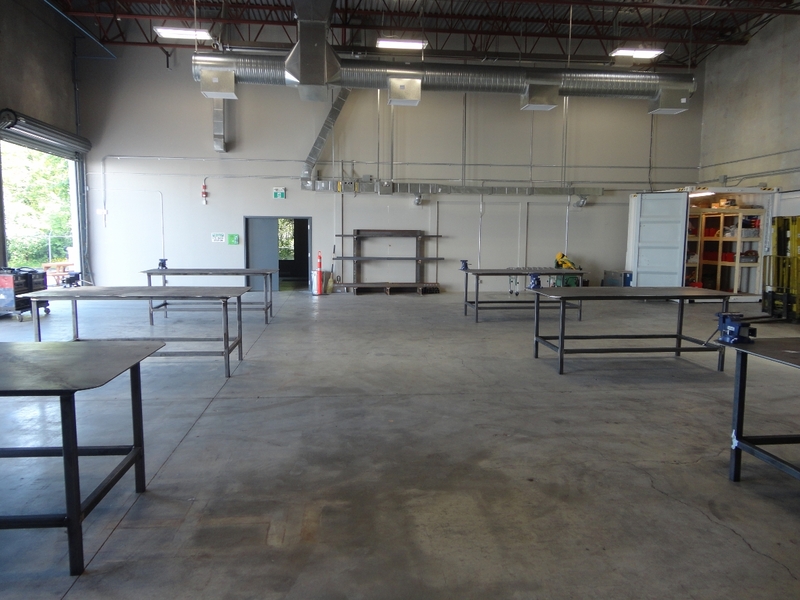 Gord Weel spent the next several weeks in between his regular duties constructing six steel fabrication tables that our Apprentices would eventually use during their upgrades. Once the shop was completed arrangements were made to hold a grand opening for not only the shop but to also showcase the office side of the building. Both active and retired members and their families were invited to a chicken and ribs barbecue. We fortunately had a nice hot summer day with about 150+ in attendance. 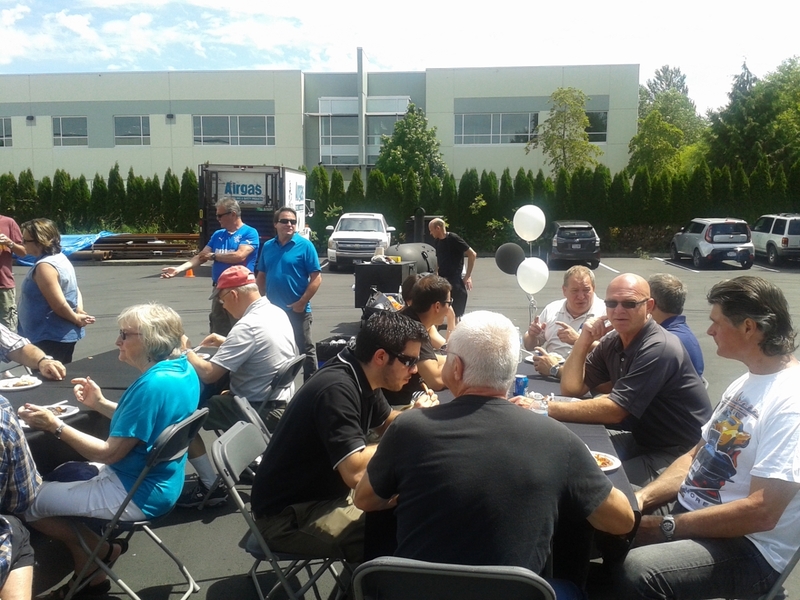 It’s safe to say that everyone had a great time sharing the day and having a bite to eat. 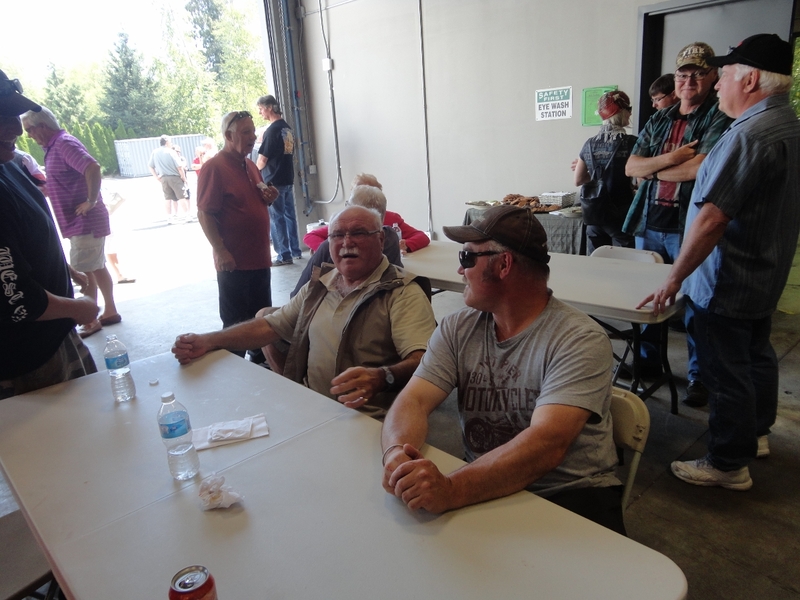 In February of 2015 two motions were made at the general membership meeting. The first was to dedicate and name Lodge 359’s new training centre in honour of two long standing members who made significant contributions to the Boilermaker apprenticeship and training programs, Joe Kiwior and Ivan Shook. The motion unanimously passed. The second motion was to purchase a sign which was to be wall mounted above the entrance to the classroom and shop, this motion also unanimously passed. 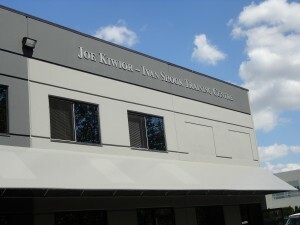 The sign was installed on April 18th. 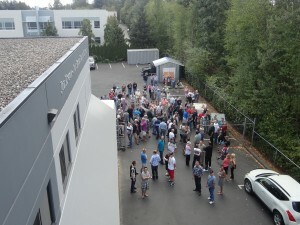 On July the 25th Joe, Ivan and all 359 members were invited to attend a dedication ceremony and barbecue in order to officially open the training centre, once again we had over 150 guests. Gord Weel provided all with a brief speech followed by the call for Joe and Ivan to cut the ceremonial danger tape ribbon, truly a classic Boilermaker moment. Both Joe and Ivan were accompanied by family members and you could easily tell by the looks on their faces that this was a very special moment in time for both men. Prior to opening the doors for the first Level 02 Apprenticeship class upgrade Coordinator Gord Weel had to apply for a provisional designation through the Industry Training Authority (ITA), this was granted on May 14, 2014. Having this designation provides permission for a group such as the Boilermakers to officially instruct the Level 02 program. 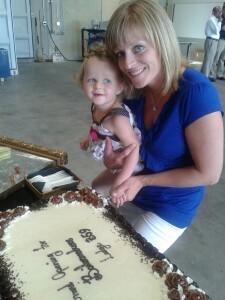 The first Level 02 pilot program took place June 16ththrough July 18th. During this first class the ITA sent a training designation adviser to observe a day of instruction and inspect the facility. 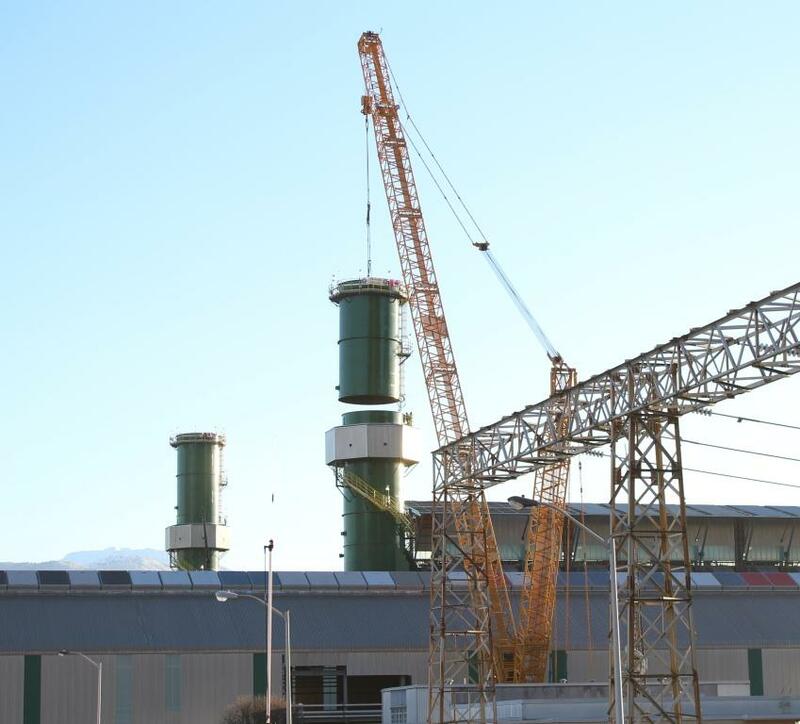 Unfortunately after completing the first Level 02 upgrade accreditation was denied as one component of the program was missing, rigging and hoisting (swinging of a jib). A second attempt at Level 02 accreditation was made starting January 19th of 2015. In order to add the previous missing component from the first class Lodge 359 partnered with the Operating Engineers to provide a crane and certified operator at their training centre in Maple Ridge. 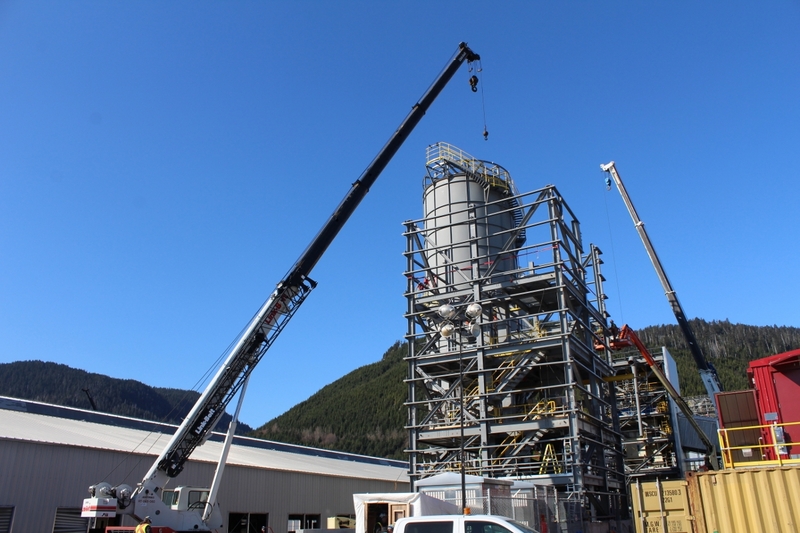 The addition of the rigging and hoisting component demonstrated to the ITA that we had met all of the requirements of Level 02 Boilermaker apprenticeship training. On March 25, 2015 Lodge 359 was recognized as an ITA Designated Training provider for Level 02. Training Coordinator Weel then applied for a provisional designation for Level 03 training and on March 6, 2015 it was granted by the ITA. A Level 03 program was then scheduled and took place from June 22 through July 24, 2015. Once again the ITA sent their training designation adviser to observe this session. As there were no issues during this class and all necessary components were instructed, the Boilermakers received a Level 03 apprentice training accreditation on August 10, 2015. 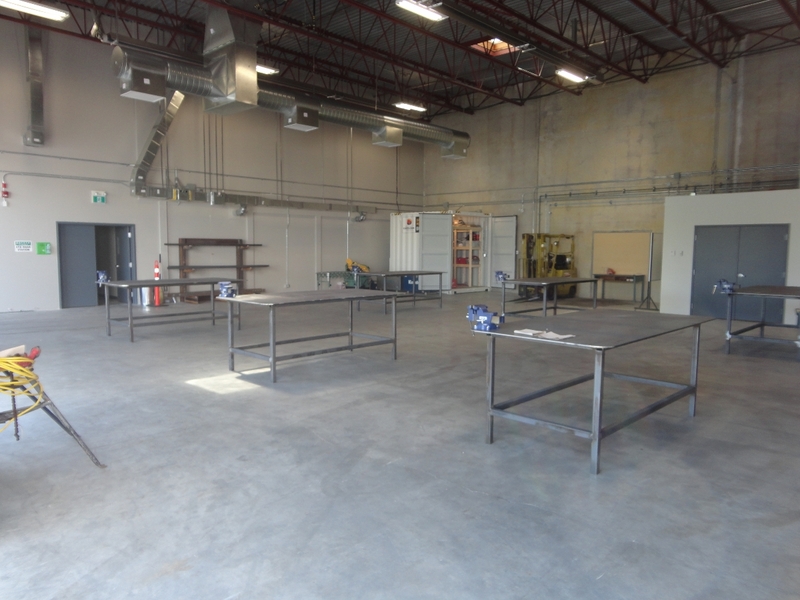 The addition of the training centre has now provided the membership with the opportunity to receive instruction and certification for Forklift operator and welder training. In November of 2014 twelve members attended forklift training and were certified. 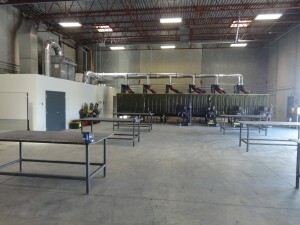 This was followed by two, one week flux core wire feed courses held in December. In January of 2015 a Level 04 upgrade was instructed for apprentices to prepare them to write their Red Seal exams. 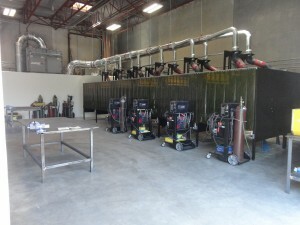 Bantrel Constructors was the first employer to make a request to use the welding booths for weld testing. 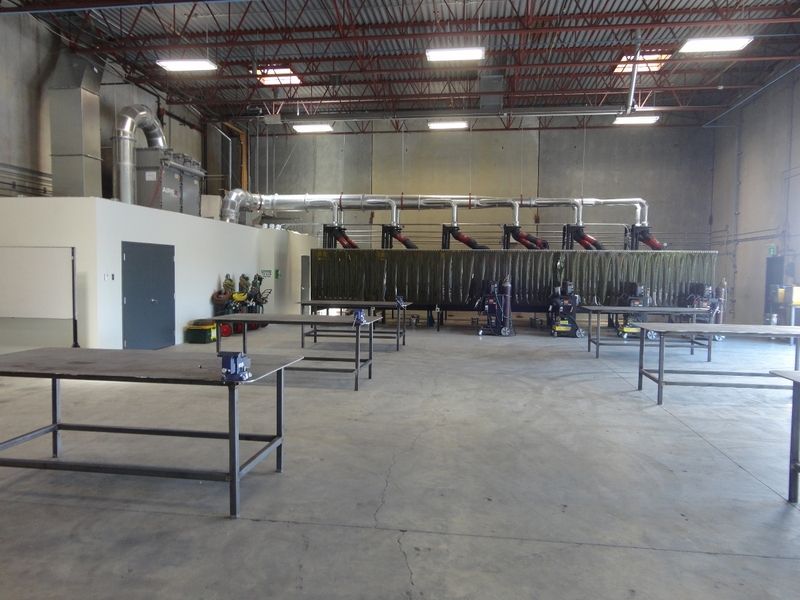 From February 17th through the 20th those members who were on the first hire spent the week in the shop preparing for the job, testing both on carbon steel and 9% nickel. 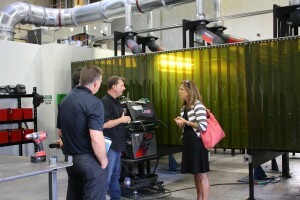 Also in February of this year the latest Job Steward and Boilermaker history courses were held. Plans for the next Steward class are currently in the works and tentatively scheduled for early next year. Lastly, Deputy Minister of Jobs, Tourism and Skills Training Athana Mentzelopoulas, Assistant Deputy Minister of Jobs, Tourism and Skills Training D. Scott MacDonald and Industry Training Authority Chief Executive Officer Gary Herman were invited to attend a meeting at Lodge 359’s office on August 27, 2015 to discuss possible funding for a sponsored CWB welding program. Gord Weel provided the group with a detailed Trade description on what a Boilermaker is and what our duties are. Also discussed at the meeting was the need for an accredited safety program in order to have one standard for the whole Province. 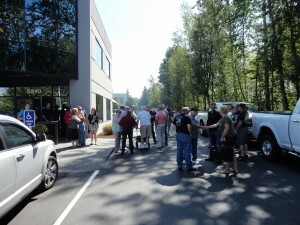 The group toured both the office and shop before the meeting closed. Business Manager Martin Nicholson reported that the meeting was well received and it is expected that a follow up meeting will be scheduled by the Deputy Minister in the near future. On behalf of the membership and staff of Lodge 359 we would like to thank Mike Swetlikoff for his hard work representing the members with their WCB appeals over the years. This representative role has now been moved to within the office and as such we look forward to assisting our members with any WCB matters that may arise. Rob Kappel, Jordan Streng and Dave French have accepted the roles of assisting the members with appeal issues, Rob handling the shops, Jordan handling the field, and Dave assisting with both. Rob, Jordan and Dave recently attended the Canadian Labour Congress Winter School 2015 and completed a Level 1 course for WCB advocacy roles as well as completing a few courses in the past few months pertaining to updates and legislative changes with regards to WorkSafeBC. These representatives will continue to educate themselves as training courses become available to ensure that they can offer the best advice when assisting our members. A reminder to all members that the most important detail is to report ALL injuries as soon as practical to ensure that any possible claim will be started in the most effective manner with the least chances of being denied because of untimely reporting. Any member concerned or unsure with what steps they should take is encouraged to contact the general office and speak with Rob, Jordan or Dave. Another reminder is that modified or transitional duties are there to help injured workers reintegrate themselves back into the workplace and are not to be used as a means of suppressing claims. It is important that prior to agreeing to these duties, the member consults with a physician to develop this plan to ensure limitations and restrictions are outlined and that the member isn’t put back into the work environment too soon, risking further aggravation to their injury. 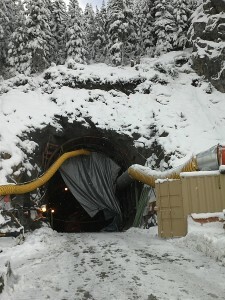 It was approximately four years later that work would begin for the Boilermakers at KMP, but first crews were dispatched to a related project at Kemano. To insure that Rio Tinto Alcan had an uninterrupted supply of electricity to power the new smelter they first had to construct a back-up tunnel and Penstock in Kemano as the original installation was approximately 60 years old. Lodge 359 Boilermakers constructed the new Penstock and completed both tie-ins, the duration of the project was approximately one year. In August of 2013 work finally began at KMP for the Boilermakers. 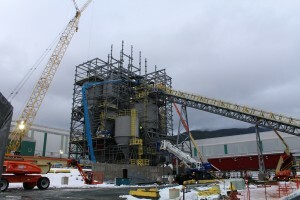 Bantrel Constructors, HB Construction Company Ltd. and CIMS Ltd. Partnership were the three Boilermaker contractors hired as subs by project manager Bechtel. 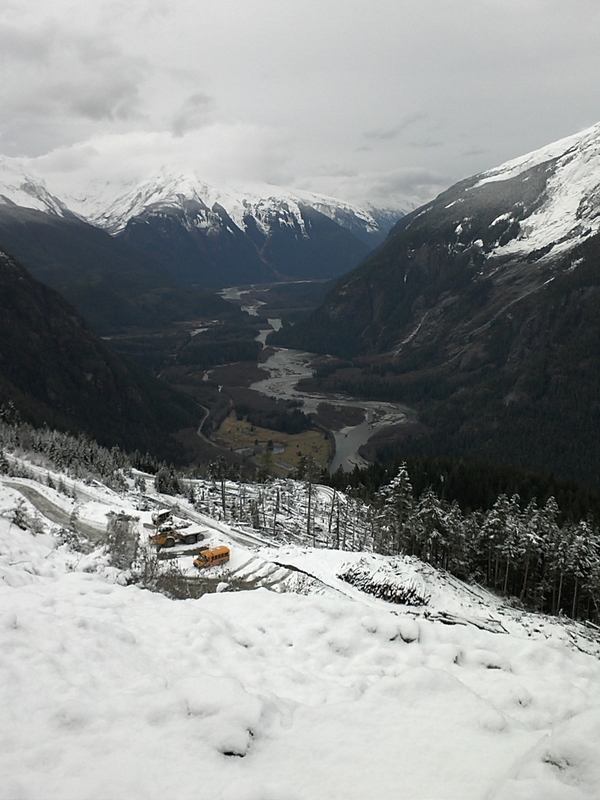 Over the term of the project Lodge 359 dispatched over 400 workers, the majority were Local Lodge members but we also had Travel Cards from across Canada assist us in manning the call-outs. KMP is one of the largest industrial projects to be built in British Columbia and it is expected to double the plants aluminum production. 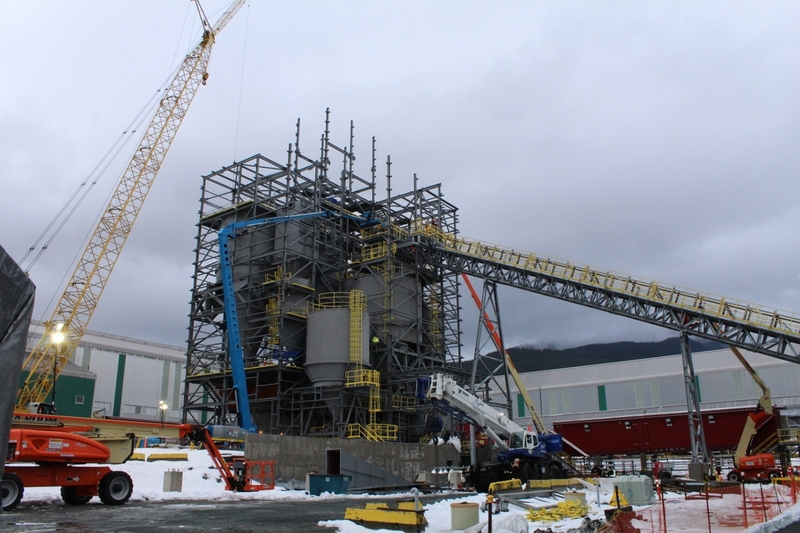 In the 1950’s Lodge 359 members had the opportunity to take part in the construction of the original smelter, as such, we were very pleased and thankful to have played a key role in the modernization project. 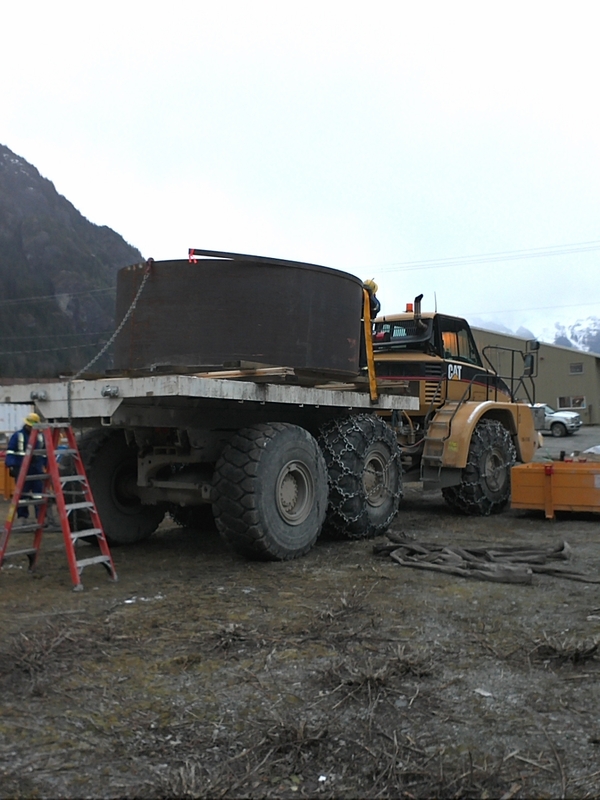 The new smelter was erected on the same property as the old. The final Boilermaker left the job in June of 2015, the first hot metal was produced shortly after. 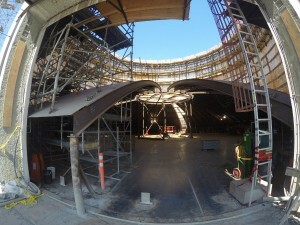 Photos of KMP courtesy of Don Ritchie, Bechtel. Provided in the May newsletter was information in regards to the replacement of all the software which is currently used to operate the dispatch and membership data bases. UnionWare is hard at work customizing their system software to accommodate our specifications as well as importing data. Weekly conferences are held between UnionWare and designated Lodge staff which continually updates the status of the project. Administrative staff in the office have begun testing completed portions of the system and provided feedback to UnionWare. 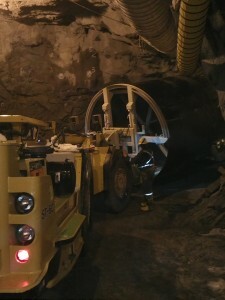 The project is on track to be implemented early next year. A very important part of this project will be the change on how the current posting system will work for each field member. More information will soon be provided both by mail and posted on the website. As a small part of the office system upgrades it was necessary to also upgrade Lodge 359’s website. 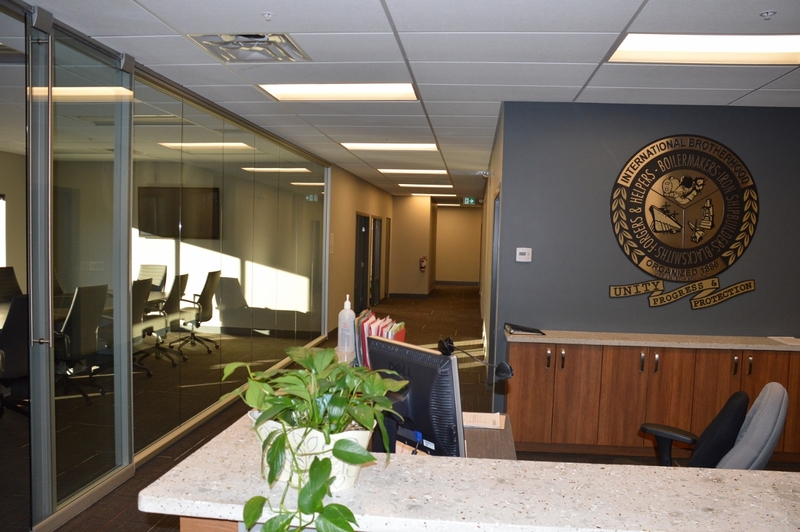 The upgrade includes a Members Only section, it is in this area that members will be able to check their board position, post their names after completing jobs, pay their dues etc. The members only section will hopefully go live in February 2016. 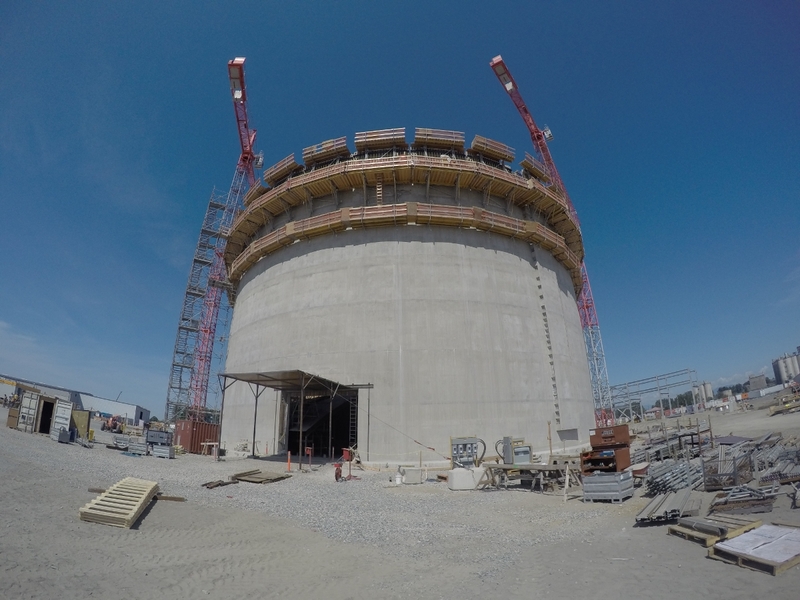 Bantrel Constructors began civil work on the newest LNG Tank project for Fortis BC on Tilbury Island during the second half of 2014. 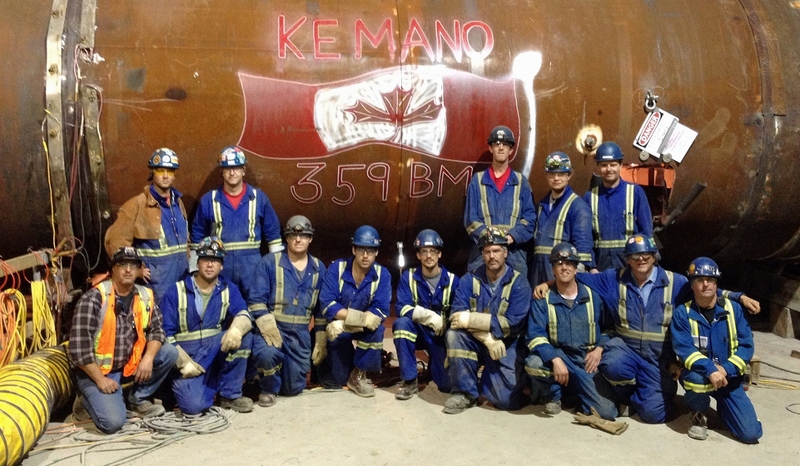 Lodge 359 Boilermakers were dispatched to start work February 10, 2015 with five members on the initial hire. 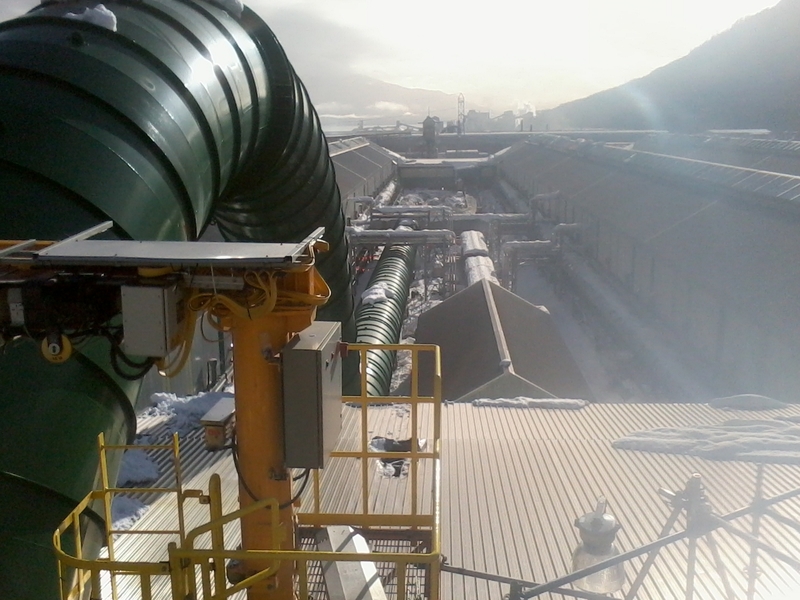 This project was the first to utilize the new Tank Letter provision in the BCA collective agreement. There have been several different hire dates throughout this year steadily increasing the crew size which now stands at thirty five, this includes Fitter/Riggers, Welders and Apprentices. Bantrel conducts regular Labour Management meetings on site similar to what Bechtel had in place for the Rio Tinto Alcan Project. 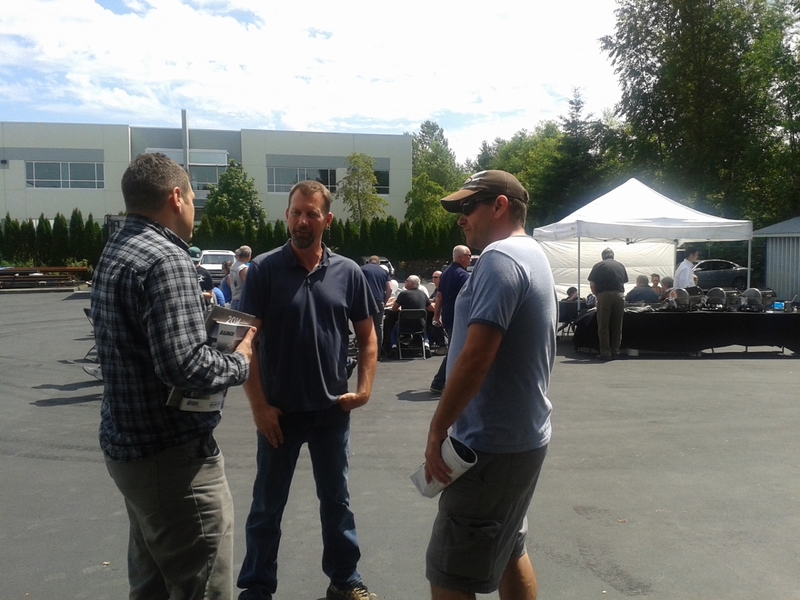 These meetings provide Fortis BC, Bantrel Constructors and the Building Trade Unions with the opportunity to discuss the progression of work, safety and any other issues that may arise. 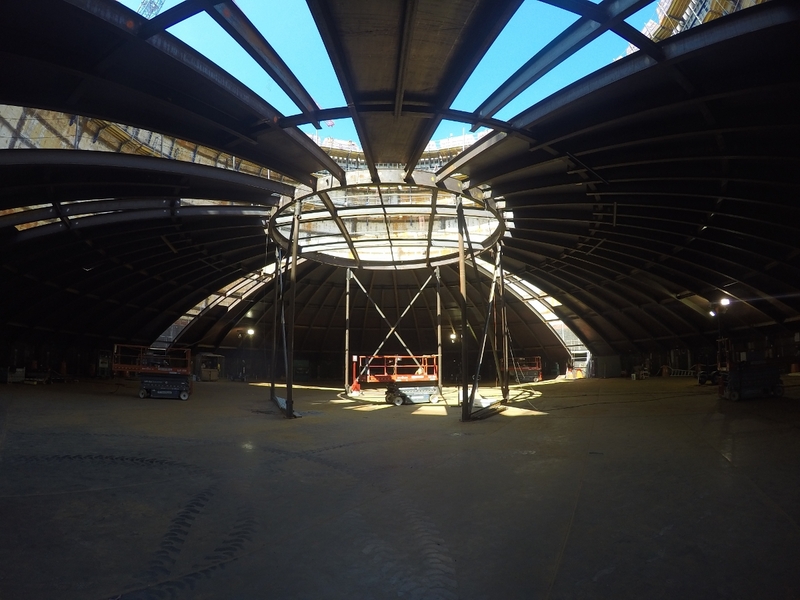 After only seven short months the tank is nearing the point that the outer roof will soon be raised, tentatively scheduled for late October. In anticipation of this move a nightshift was recently added to assist in completing the construction of the roof before it is air lifted. 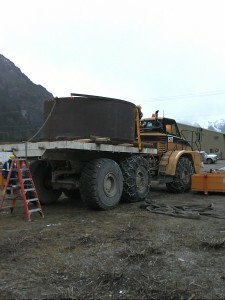 Fortis BC and Bantrel Constructors have graciously agreed to release a few photos of the tank to be used in our newsletter, we sincerely thank both for their assistance. 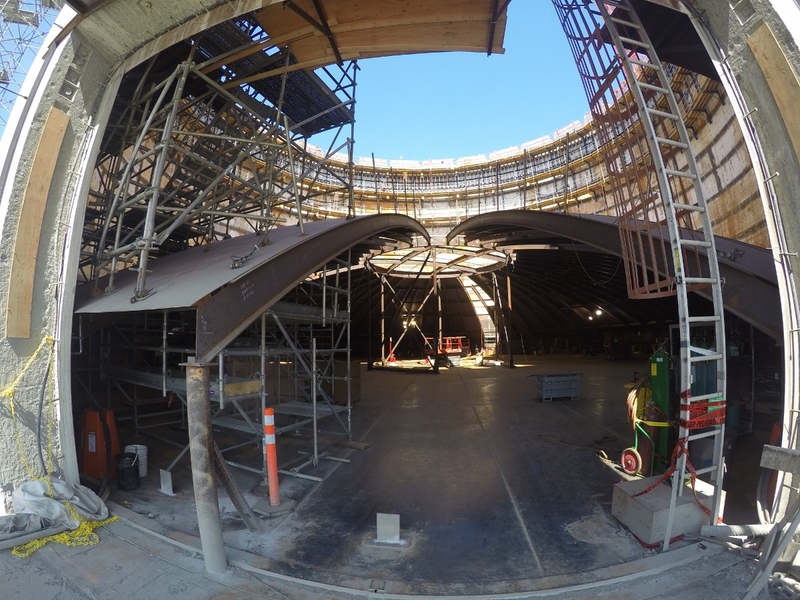 Approximate dimensions are 155 feet in diameter and 145 feet in height. 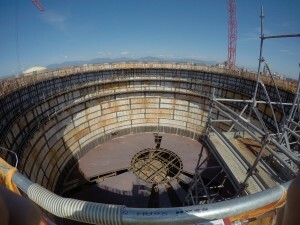 Once the outer roof is in place work will commence on the inner 9% nickel tank. 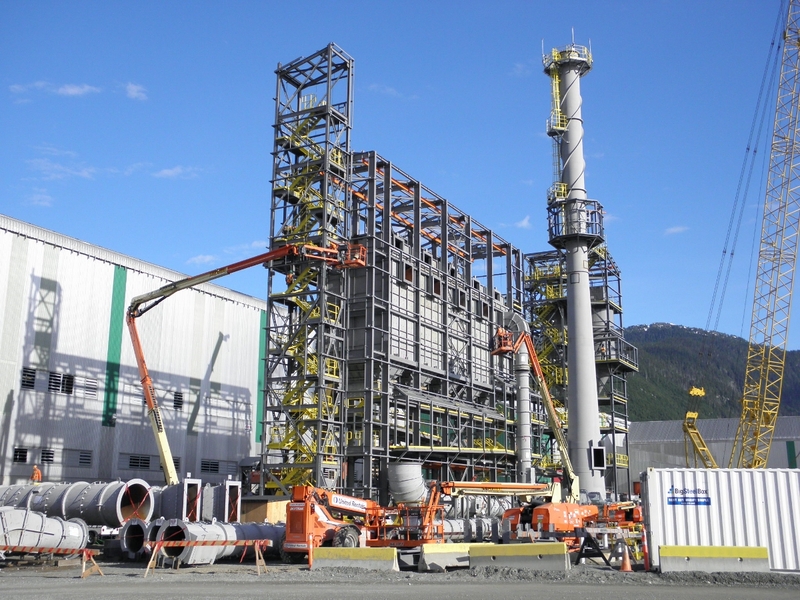 Photos of Fortis LNG courtesy of Lynn Gould and Danny Benvegnu, Bantrel Constructors. In the fall of 2013 we asked for field member proposals to address the upcoming expiry of the 2011-2014 BCA Collective Agreement. We had members send proposals via fax, mail, and also use the designated email account we had set up specifically for this purpose. The Business Manager then struck a bargaining committee including both office staff and field members. We then met with the BCA in January of 2014 to outline the rules of bargaining and to set dates, times, and locations of bargaining. In parallel to this we also had collective bargaining going on with 4 different Boilermaker shops throughout the fall of 2013 and spring of 2014, with four different bargaining committees comprising of our Union staff, Shop Stewards, and employees depending on the shop size. After bargaining through January, February and March of 2014 we had a tentative agreement with the BCA. The Business Manager and BCA Bargaining Committee then travelled throughout BC to discuss the agreement with the membership. An all-mail ballot followed and we were successful in ratifying an industry leading six year term with increases that have been well above our industry standard. This agreement was then used not only by us, but also by other building trade unions as a basis for increases to the CLR agreements that followed. No one in the office is quite sure of the last time we were able to negotiate an agreement with our BCA contractor group before the CLR contractor group, and be the Trade to lead the industry in setting wages and benefits. We do not however believe that this not has been accomplished within the last two decades. The CLR agreement was also due in 2014 and a deal was struck between all the Building Trades (the Bargaining Council) and CLR to bargain a two year extension with only the wage package and the Heritage Day holiday on the table. We couldn’t reach an agreement that we felt the Union could recommend to our membership and this triggered an arbitration clause for the Boilermakers. In the arbitration we were successful in getting the same hourly rate increase as the BCA agreement for the two year period, but were unsuccessful keeping the Heritage Day Holiday in the CLR agreement. We fought the Heritage Day issue at a subsequent arbitration hearing and were again unsuccessful in our attempt to claim the Heritage Day should remain as it did in the BCA negotiations. We will be back to the CLR bargaining table soon for another round with this contractor group in 2016. 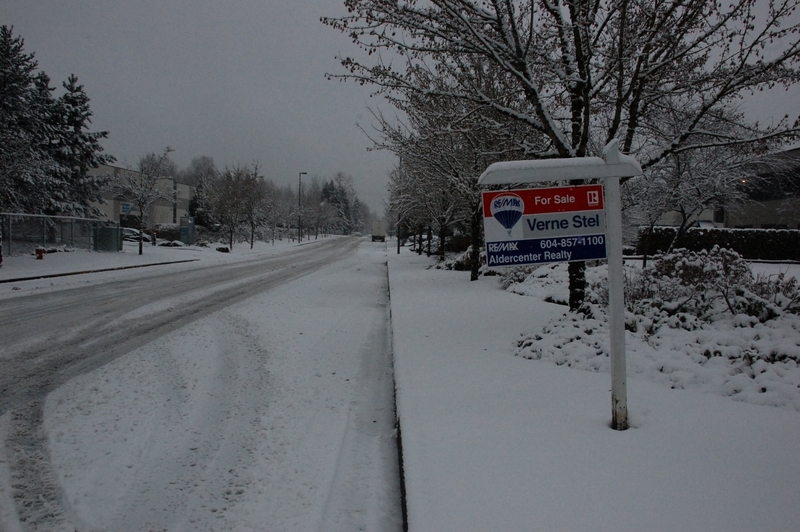 We were also successfully obtaining increases and improvements for the four shops in the spring and into the summer of 2014, and have since ratified another shop agreement in 2015 after a first vote was rejected and some further improvements and changes to the company Health &Welfare Plan were bargained. We will have two shop agreement due in 2016, four in 2017, and another two in 2018, then it all begins again. The Quality Control Council of Canada began bargaining with the NDTMA contractor group in the winter and spring of 2015. We jointly administer this agreement with the UA170 Pipefitter Union in the Pacific Region. Each Union has a regional representative from British Columbia that is part of the bargaining committee. This is a National agreement across Canada, with a regional component that involves wages, travel, overtime and some other monetary and non-monetary items that are specific to each region and the industries they service. Member proposals were sought in the fall of 2014, with bargaining committee members meeting to decide which proposals were a national item, a regional item, and what increases we would be looking for in each region. Unfortunately, during the early rounds of bargaining with the contractor group the bottom fell out of the oil industry and this affected bargaining across the country. We managed to gain modest increases in the Pacific Region and had some priority items for our membership addressed, but only ratified the Pacific Region by a very close margin. The Central and Atlantic Regions were both voted down at first, then passed at a second vote in which they received some slight gains over the original proposals. 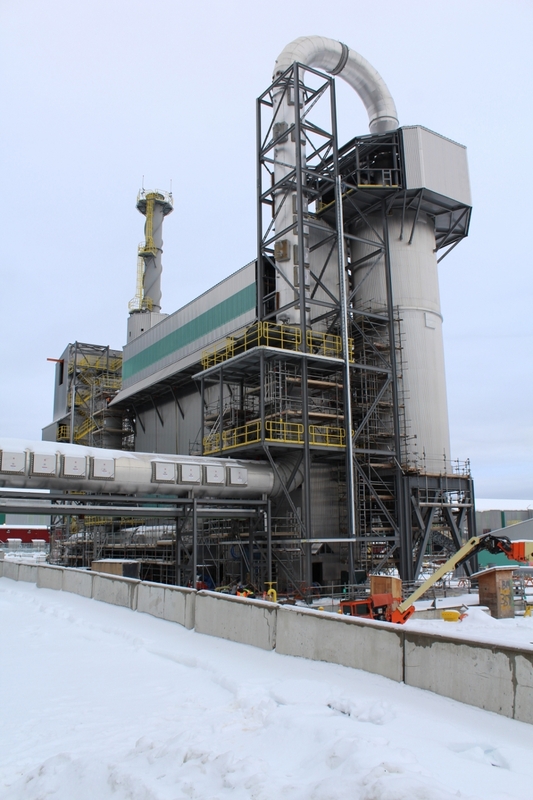 The Prairie Region, which was hit hardest by the drop in oil prices, had to bargain at the same time that the building trade unions in the region were taking cuts or just maintaining what they already have. 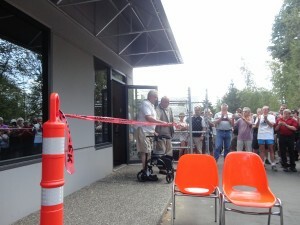 They have voted down 2 proposals to date, and are entering into mediation to try and resolve their differences there. We would like to extend our appreciation and our thanks to all those Shop Stewards, bargaining committee members, and membership who get involved submitting proposals, sitting at negotiations, informing and educating the membership, and who often put in many hours of their own time to make sure that their Brothers and Sisters benefit from collective bargaining. Without going into any great detail there were a significant number of grievances processed over the past few years for both field and shop members. 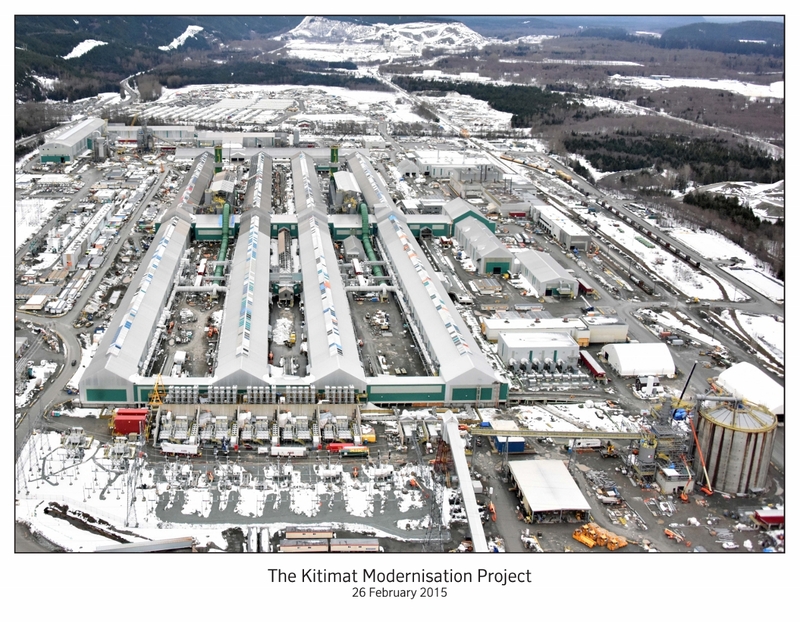 The most difficult came out of the two projects in the Kitimat area. Settlements on the most part have been concluded on a without prejudice basis which means the details must be kept strictly confidential between the parties involved. For information purposes only the following is a bullet point list of actions since 2012. 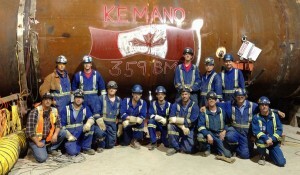 Kemano; group grievance regarding Employer use of non-bargaining unit employees to perform work which was within the jurisdiction of the bargaining group; settled prior to arbitration in favour of the Boilermakers. 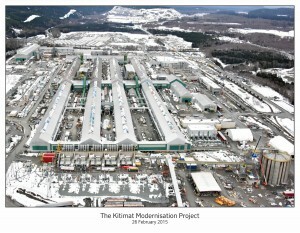 Kitimat; termination grievance; withdrawn by the Union after investigation, determination was without merit. 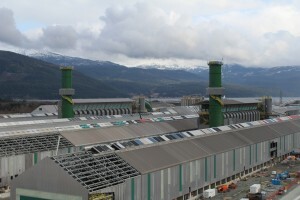 Kitimat; termination grievance; proceeded to arbitration and was settled in favour of the Boilermakers. 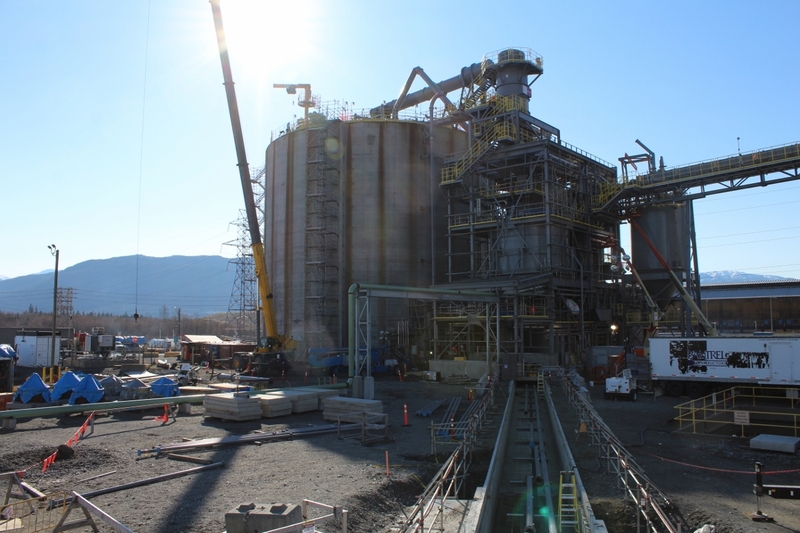 Kitimat; termination grievance; settled prior to arbitration in favour of the Boilermakers. 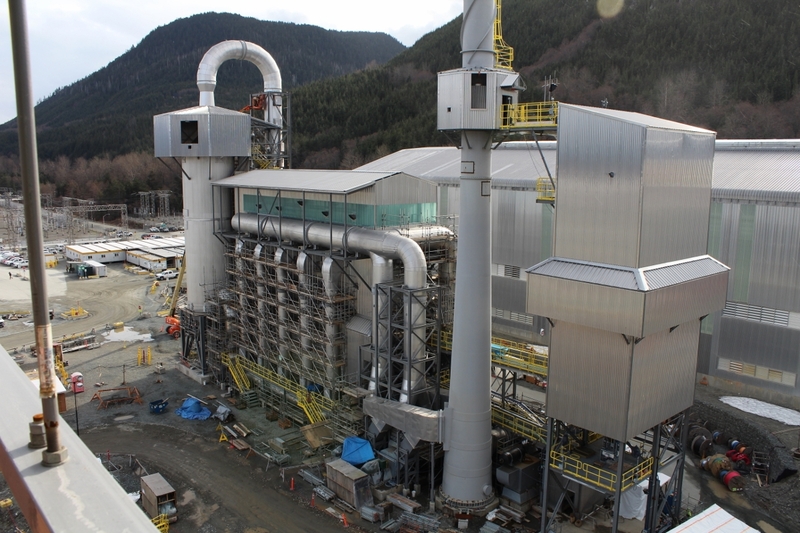 Kitimat; group grievance regarding travel expenses; settled prior to arbitration in favour of the Boilermakers. 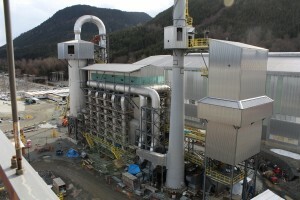 Kitimat; group overtime grievance; settled prior to arbitration in favour of the Boilermakers. 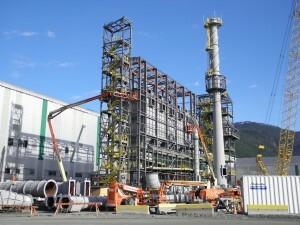 Kitimat; group turnaround grievance; settled prior to arbitration in favour of the Boilermakers. Chetwynd; group turnaround grievance; settled prior to arbitration in favour of the Boilermakers. Chetwynd; discharge grievance; settled during mediation in favour of the Boilermakers. Langley; application of the timing of a wage increase grievance; settled prior to arbitration in favour of the Boilermakers. Penticton; termination grievance, withdrawn by the Union after investigation, determination was without merit. Penticton; employee recall rights grievance; withdrawn by the Union after investigation, determination was without merit. Penticton; attendance management policy grievance; settled prior to arbitration in favour of the Boilermakers.